Everyone needs help surviving flu season, because this is a year of epidemic-level flu cases and a flu shot that doesn’t provide complete protection. This season, the predominant strain is H3N2, which causes the worst outbreaks of the four influenza viruses that are responsible for seasonal flu epidemics each year. The flu shot still helps! It might prevent the flu, and it might make any illness you get easier. Vaccines take at least 10 days to build full immunity, so don’t wait until your entire town is sick! People are contagious for a day before they show symptoms, and for about five days after, while they’re actively sick. Stay away from sick people, and keep yourself at home if you or a family member are ill. Stay out of crowds for the next few weeks, and wash your hands frequently with soap and water when you do go out. Talk to your doc NOW about if they recommend Tamaflu or some other anti-viral, and when you should call if necessary. That way, you’re prepared if flu strikes the family. 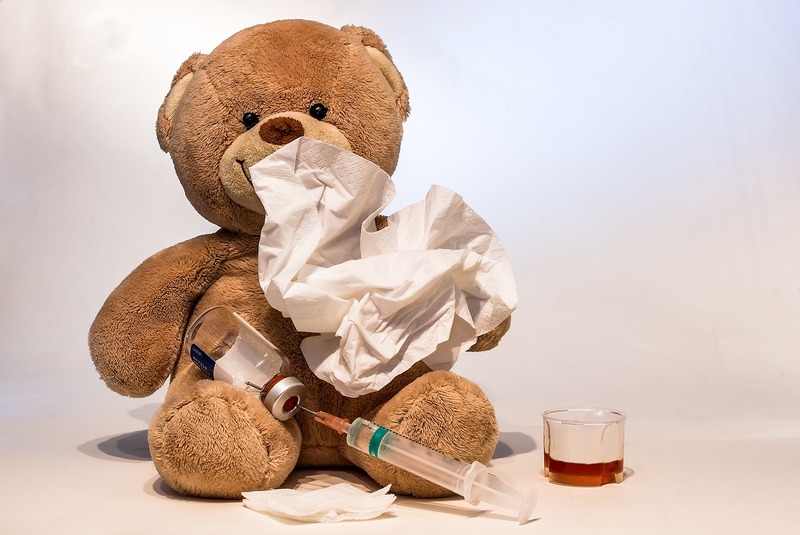 The flu has hit Maine hard, but you don’t have to be a victim! Here are some other tips for surviving flu season. Studies show that sleep deprivation can make you more susceptible to illness by reducing the number of cells in your body dedicated to fighting things like microbes. The average adult needs about 6-8 hours of sleep. Flu season is a great time to reinstitute a rest period for yourself. Nap if you want to! Not a napper? Declare some time out each day. During these few minutes close your eyes, breathe deeply, and think peaceful, happy thoughts. Meditation reduces stress. Reduced stress means less susceptibility to illness. Exercising increases your sickness-fighting cells. Get in the habit of exercising with family or friends to improve your health and to enjoy some quality time together. Try walking, hiking, biking, yoga, or just crank up some fun music and dance. Attend available exercise classes, walk around the mall, or take the scenic route when food shopping. One key to surviving flu season is to make sure everyone washes their hands often with soap. Ditch the antibacterials because research shows plain soap is just as effective. Sing the ABC’s while vigorously lathering palms, between fingers, around nail beds, and the backs of hands. Pay particular attention to hand hygiene before and after each meal, after playing outside, using the bathroom, handling pets, blowing noses, and after being anywhere in public. And make sure anyone coming into your home washes up first thing! When you’re out and about, carry wipes or hand sanitizer with you for quick cleanups. If someone in the family gets sick, keep his toothbrush separate from everyone else’s. Give it a good soak in boiling water or run it through the dishwasher after the illness isn’t contagious anymore to get rid of any lingering germs or viruses. Wash your hand towels in hot water every three or four days during cold and flu season. Sneeze and cough into your arm or a tissue. Coughing into your hands puts the germs right where you can spread them to any object (or person) you touch. Get rid of used tissues often! You have probably heard how important it is to drink plenty of fluids when you are ill, but it’s just as important for preventing illness. Adequate hydration keeps the tissues of the respiratory system moist, which prevents microbes from settling in. Hydration also helps the immune system work properly. Opt for fresh, filtered water. An overheated home promotes dry air, the perfect environment for viruses to thrive. And when your mucous membranes (i.e., nose, mouth, and tonsils) dry out, they can’t trap those germs very well. Lowering the heat in your house 5 degrees and using a room humidifier helps maintain a healthier level of humidity in the winter. Buy a hygrometer to measure humidity and keep your home at around 50 percent. As we age, it becomes more difficult to regulate body temperatue. Don’t just arbitraily lower your heat five degrees.Use your comfort level when wearing a warm sweater to judge how cool your house should be. Keeping plants well watered and a pan of water on the radiator helps with humidity. Crack the windows a few minutes a day to let in fresh air. Carrots, kiwis, raisins, green beans, oranges, strawberries: they all contain such immunity-boosting phytonutrients as vitamin C and carotenoids. Cruciferous vegetables including broccoli, brussel sprouts, cabbage, cauliflower, are good sources of betacarotene and help protect against free-radical damage. They also contain vitamin C and calcium. Try to eat five servings of fruits and veggies a day. Try to eat at least half of them raw and when you do cook them, be careful not to overcook. Overcooking destroys the immune enhancing properties. Research a little bit to learn more about feeding your immune system. Sugar makes the body acidic, just the way pathogens like it (they thrive on sugar). So especially during cold and flu season, reduce sugar intake (that includes corn syrup and High Fructose Corn Syrup, as well). Talk to your physician about your specific nutritional needs. Ask if they recommend supplements, increased amounts of vitamin C or D, and what over-the-counter remedies might help. Based on a WebMD article by Janelle Sorensen.